The features and finishes you choose is the first step to transforming your house into a home. Our team of experienced décor consultants is ready to help you make your vision for your dream home come to life. After you have purchased your new Tribute Communities Home, you will be contacted by our Décor Administrator to schedule your appointment. This will be based on construction time lines which vary between sites and lots. Be sure to get appropriate dates for your home from your decor representative. Purchasers will receive a Décor Options Guide prior to being contacted for their appointment to assist them with the many options and upgrades available to them. Our team knows that the process can be daunting, especially if it is your first home purchase. To help you prepare even further, our Décor Studio has open browsing hours on Saturdays from 1pm-5pm. This will allow you to tour the studio and see your standard finishes, as well as the many options available for upgrade. You will be booked in with a personal Décor Consultant for a structural appointment where you will discuss any changes you might want to make with your floor plan, as well as all your plumbing/mechanical and electrical requirements/options. This appointment generally runs anywhere from one to three hours. A second appointment will be booked in order to complete all your finishes. We do find that in some cases, one appointment is appropriate in order to finalize all structural and colour finishes. Payment requirements will be discussed at this time as well. If you already have an idea of the changes you would like to make, it's always best to make a list beforehand and ask your decor representative questions as they take you through the appointment. Each community is different and your Décor Consultant will be able to guide and help you in your decision making. 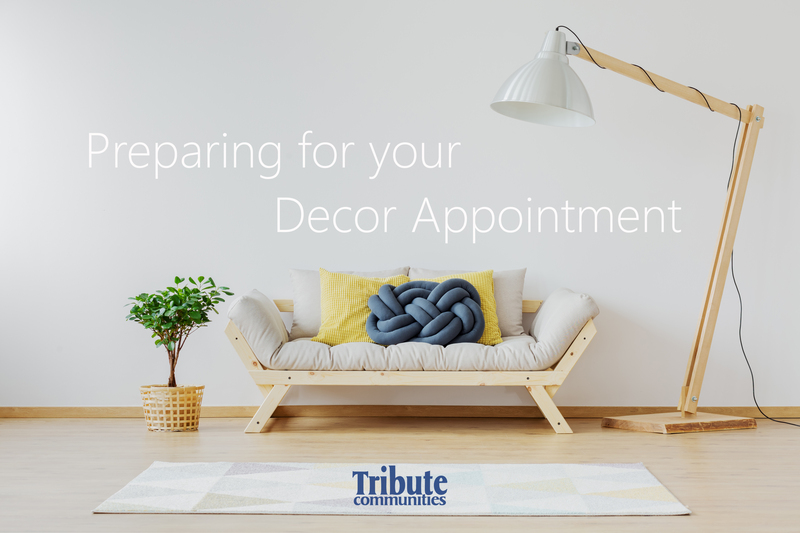 We look forward to meeting with your at your scheduled Décor Appointment. Questions? Be sure to contact our Décor Studio with the info below!